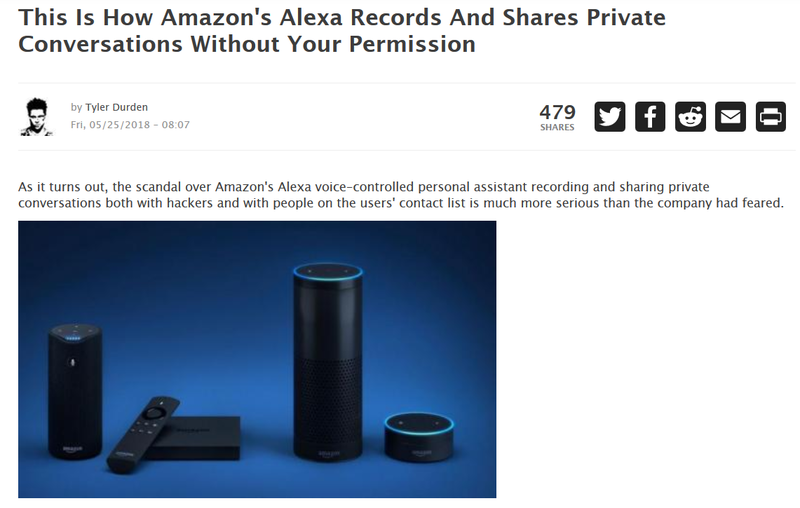 This should be beyond basic, yet I have friends who have "embraced this technology"
Do not put spies into your own house. Good thing they were just talking about "hard wood" (floors that is). The woman, named only as Danielle, received a phone call from one of her husband's employees in Seattle, who received a recording of the conversation. On KIRO's video, Danielle holds up a number of Echo Dots, claiming that "it was one of these that sent it." 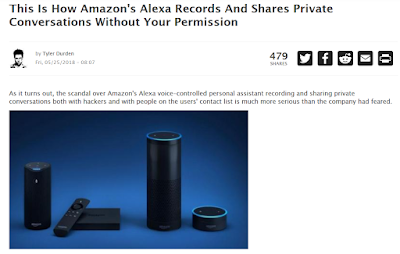 "We unplugged all of them and he proceeded to tell us that he had received audio files of recordings from inside our house," she told KIRO news. "At first, my husband was, like, 'no you didn't!' And the (recipient of the message) said 'You sat there talking about hardwood floors.' And we said, 'oh gosh, you really did hear us.'" Again and again, Weizenbaum witnessed ELIZA evoke an emotional response from users. And yet, he didn't see this as a triumph. A decade after ELIZA, Weizenbaum reveals in Computer Power And Human Reason that what he "had not realized is that extremely short exposures to a relatively simple computer program could induce powerful delusional thinking in quite normal people." In the wake of ELIZA, Weizenbaum became an advocate for social responsibility in science and a critic of artificial intelligence. "The computer programmer is a creator of universes for which he alone is the lawgiver," he writes in Computer Power and Human Reason. "No playwright, no stage director, no emperor, however powerful, has ever exercised such absolute authority to arrange a stage or field of battle and to command such unswervingly dutiful actors or troops."